I hate it when I break a nail... =_= I've been very careful ever since I broke like 13487237 nails opening car doors / canned drinks / seat belts / bottles / plastic caps (seals?) / boxes. I let my guard down for one split second while opening a cab door and this happens. That familiar pain shot through my finger and I just knew.. Didn't even wanna look at it =_= Urgh! Fear not! 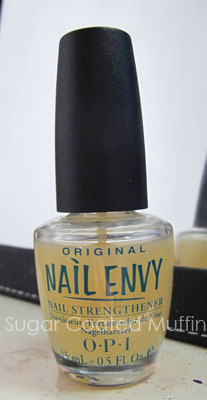 OPI Nail Envy to the rescue!! My conclusion : Absolutely love this! Must have if you have soft nails and wish to let them grow long. it's a good thing that this is working fine for you! 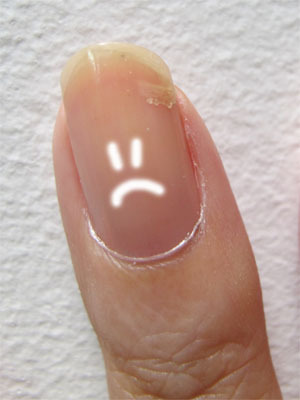 yes nail strengthener really works! im using sally hansen one for years, it kinda protects the nail alot, no yellowish nail too! Does it protect from kunyit as well? haha.. My nails turn yellow every time I eat something containing that spice. omg~ I need tis stuff very bad for my poor nails~ but when u get this? My aunt gave this to me some time back.. It's pretty expensive to buy from shops so I think buying online is much better.